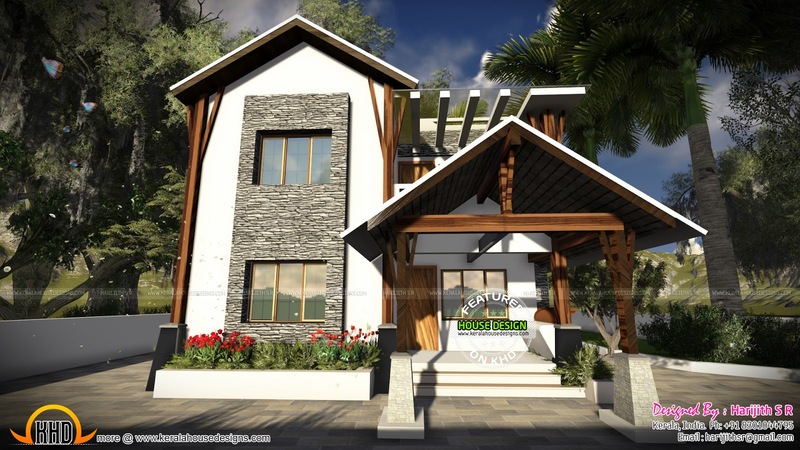 2119 Square feet (197 Square Meter) (235 Square Yards) Simple contemporary+sloping roof mix 4 bedroom home. Designed by Harijith S R (House plan Freelancer), Kerala. Ground floor : 1151 Sq. Ft.
First floor : 968 Sq. Ft.
Total Area : 2119 Sq. Ft.